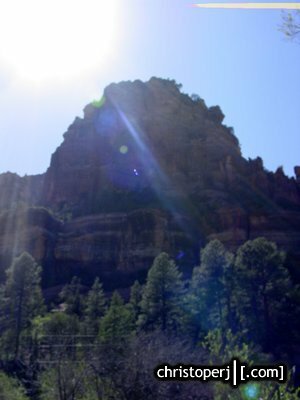 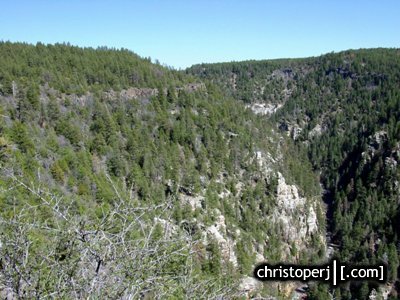 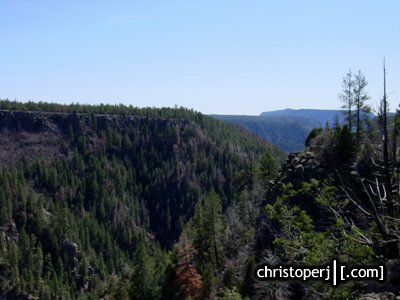 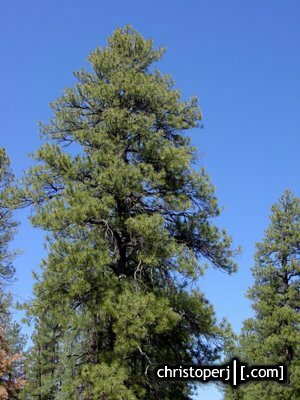 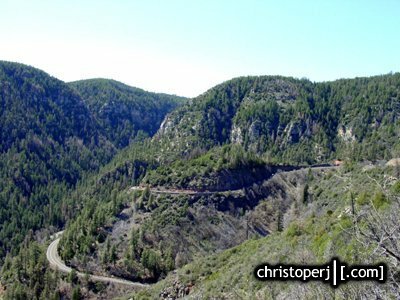 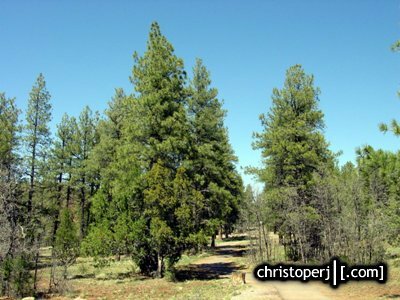 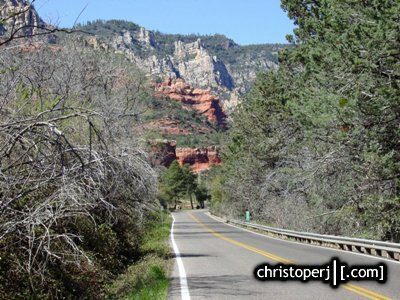 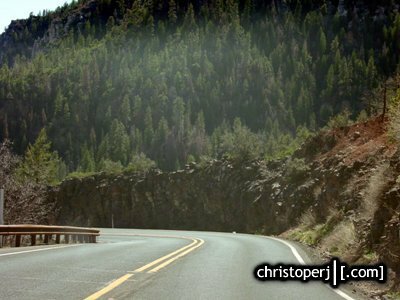 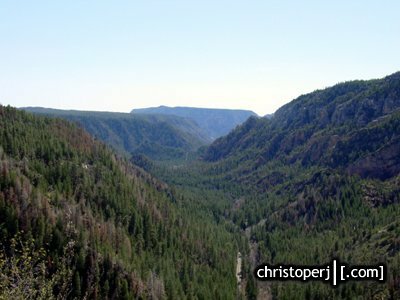 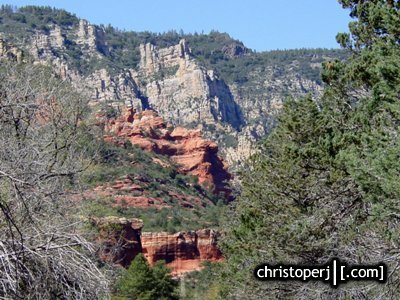 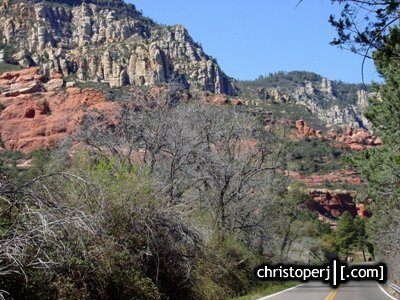 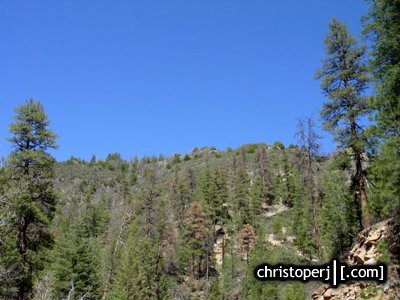 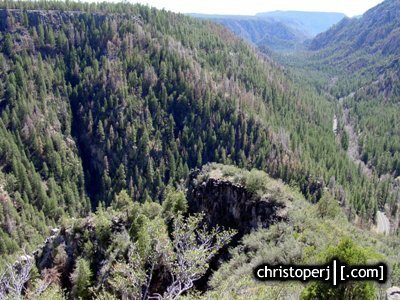 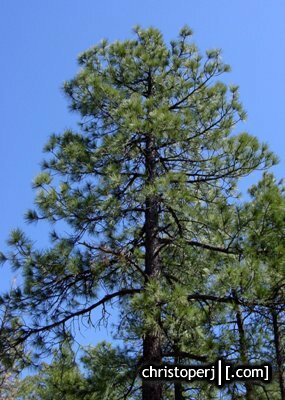 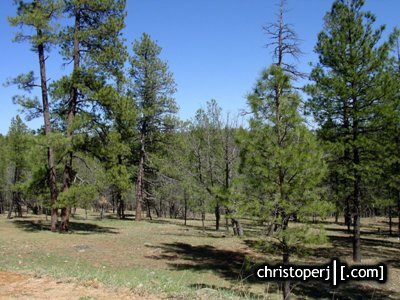 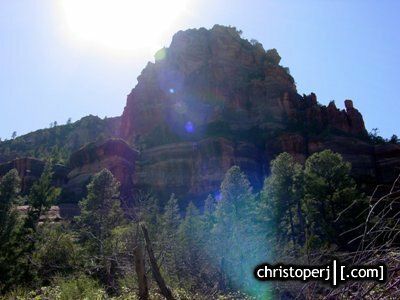 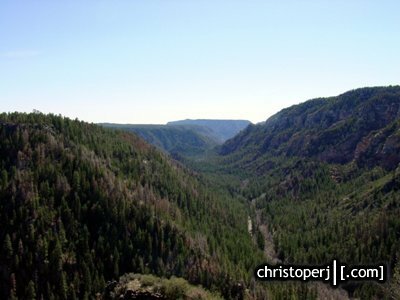 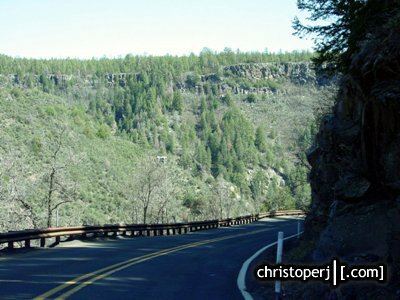 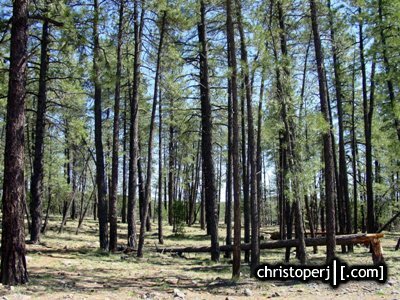 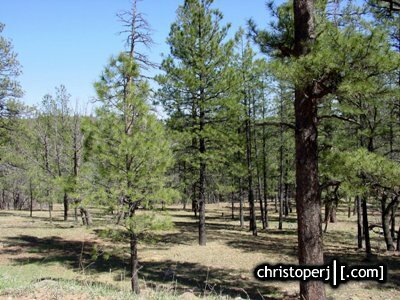 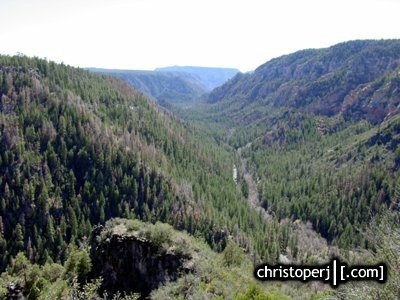 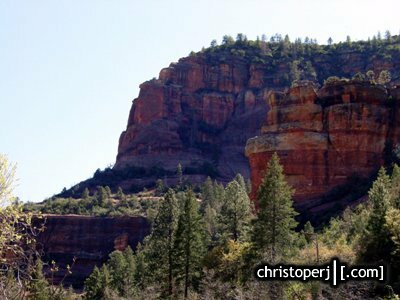 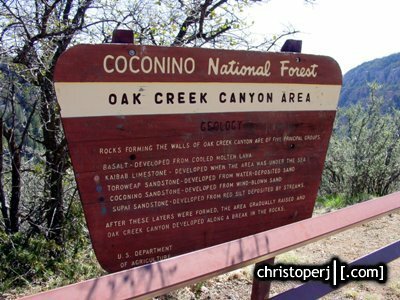 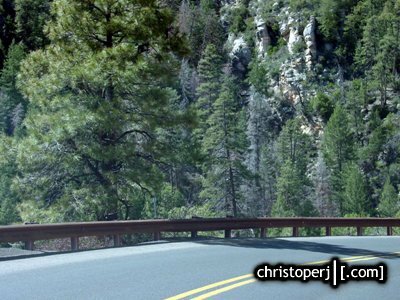 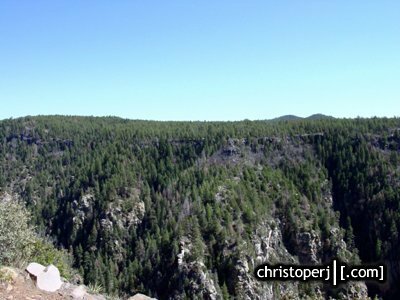 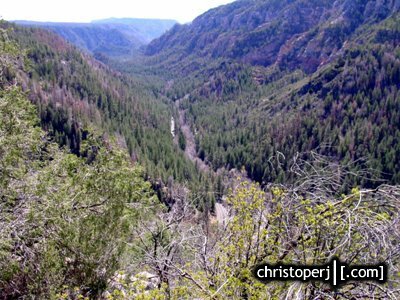 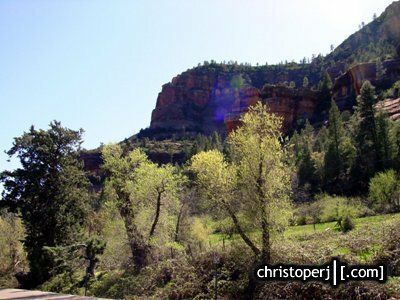 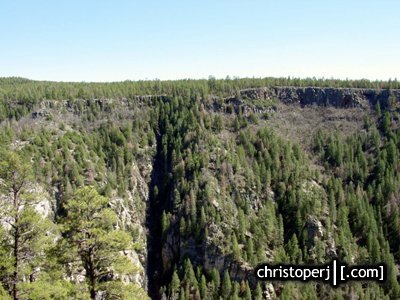 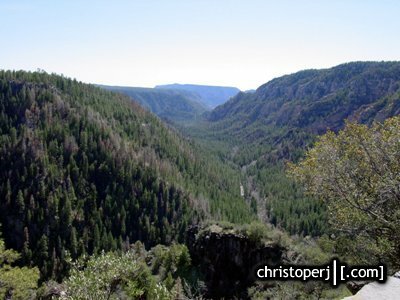 Oak Creek Canyon, south of Flagstaff, is about 12 miles long and one of the most scenic drives ive ever come across. 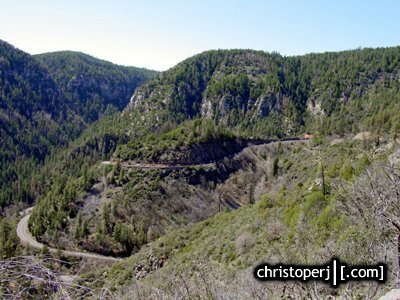 It's another one of those drives that when i was on the 15 yearold roadtrip with my learner's permit, i nearly crapped my pants when after all the flat country the road was on -- gave way to a big 30 ft tall sign that read "Road goes this way" and then 3 miles of switchbacks leading to the creek level of the canyon. 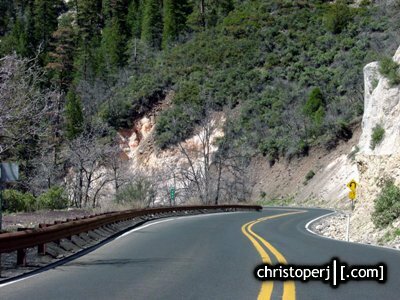 that sign seems to be gone (damn it) but the drive remains. 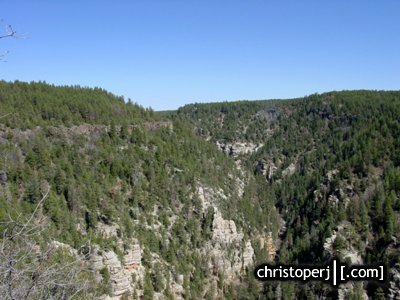 View looking south into the canyon from the observation overlook. 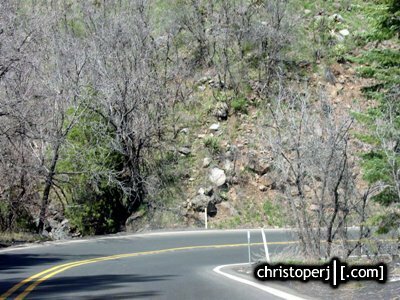 . .
. . .one switchback leads to another and leads to another and to another and to another and to another. 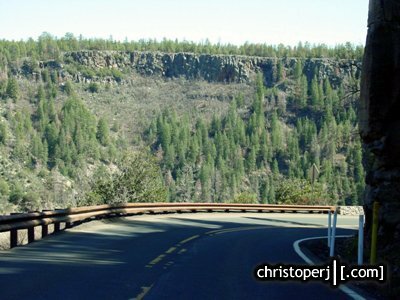 . .
. . .the roadway way below. 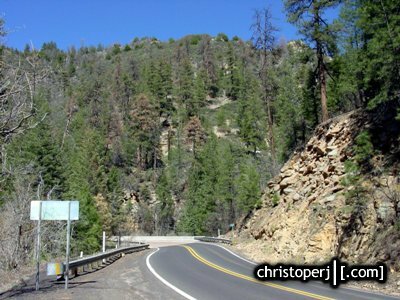 . .
. . .obligatory 'Here's Where You're At:' sign. 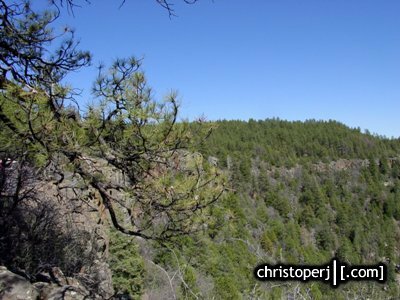 . .
. . .spruce trees dotting the overlook park. 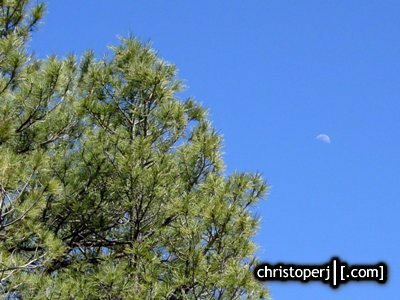 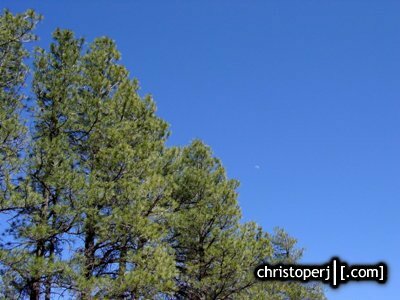 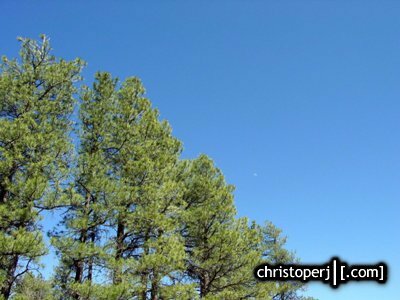 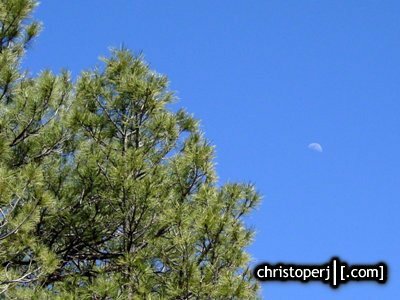 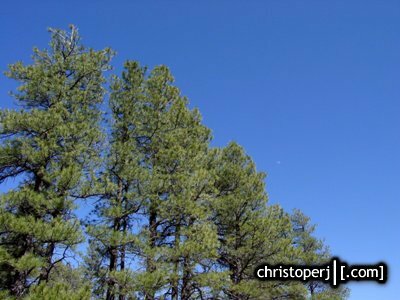 . .
. . .the moon was out over the trees. 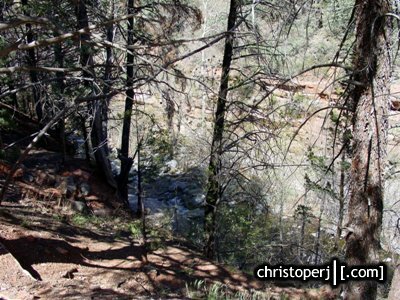 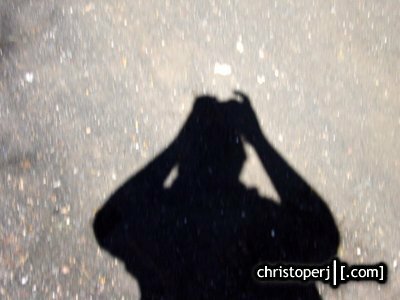 . .
. . .looking straight down to the jagged rocks that would catch me if i slipped. 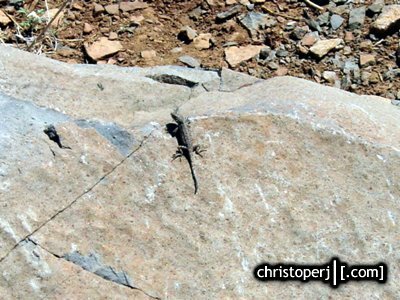 . .
. . .random salamander on a rock. 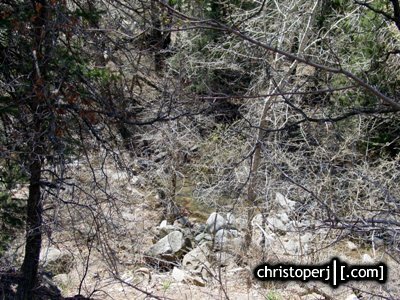 . .
. . .oops. 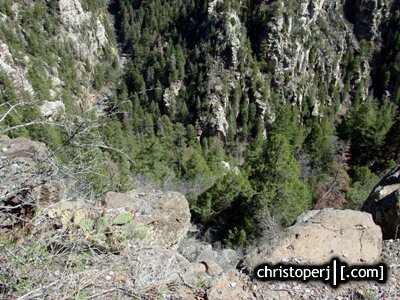 . .
, , ,heading down. 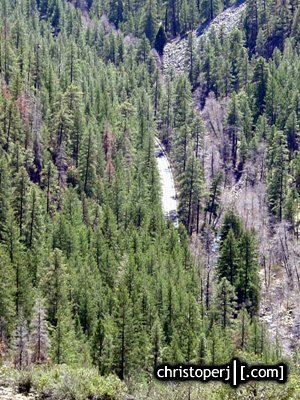 . .
. . .even at the bottom, roadway drop offs into the creek are still about 50 feet in some places. 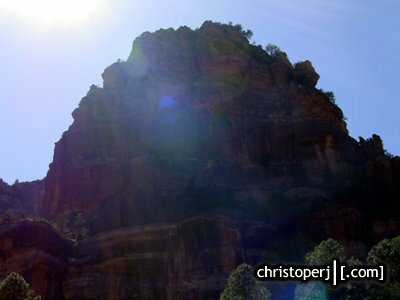 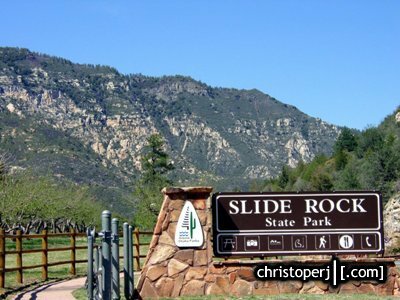 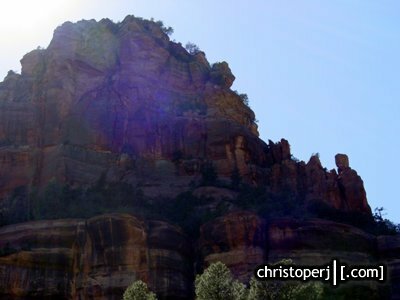 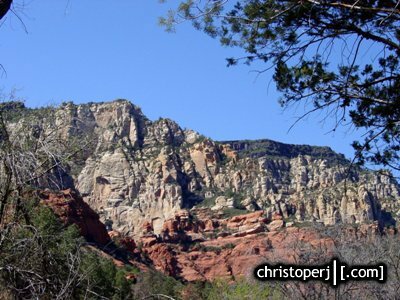 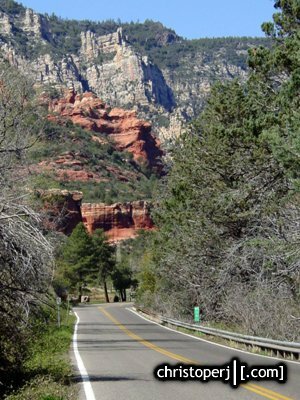 . .
. . .Slide Rock State Park is a very popular place to be in the summer enjoy Oak Creek. 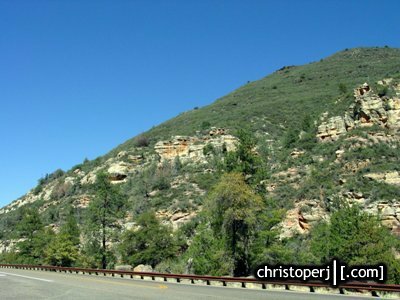 . .
. . .canyon walls from the roadway. 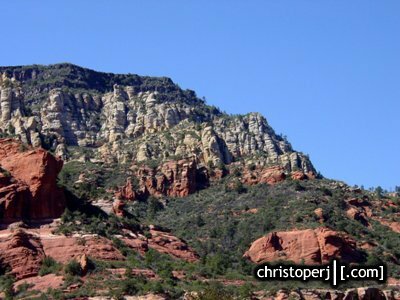 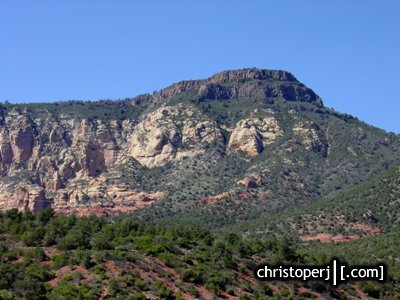 . .
. . .the start of the red rocks north of Sedona.